L. refectus (refreshment), Eng refectory, dining room in convents and monasteries. 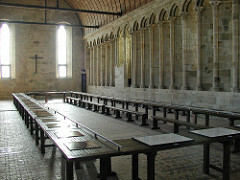 Generally, is was a rectangular room, 160 feet (49 m) long by 35 feet (11 m) wide in the side of the cloister opposite the church. Long picnic like tables with benches lined the length of the room. There was a pulpit for a monk to recite religious material during the meal. Rectories existed long before 14th C. when Alfonso X of Castile issued Las Partidas, Law I, 7 ordering that sick friars eat in the infirmaries while all others were obliged to eat in the refectories. Soak fava beans in water with soda overnight. Wash fava beans in with warm water several times. Cover them with oiive oil and put them in a pan greased with olive oil. Cover with water and add chopped onion, peeled and mashed garlic, cumin, cilantro and fennel. Bring to a boil. Lower heat and gently boil, stirring with a spoon until the beans are soft. Remove garlic and onion. Add salt to taste. Put them in a serving bowl and sprinkle with cumin and oil. 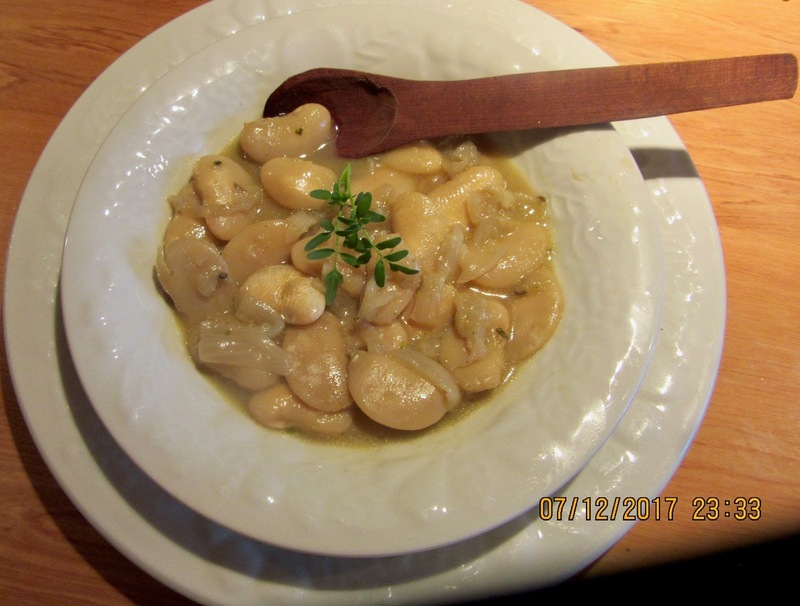 If desired, the olives or sliced onions can be sliced and served with the beans as well as rue.